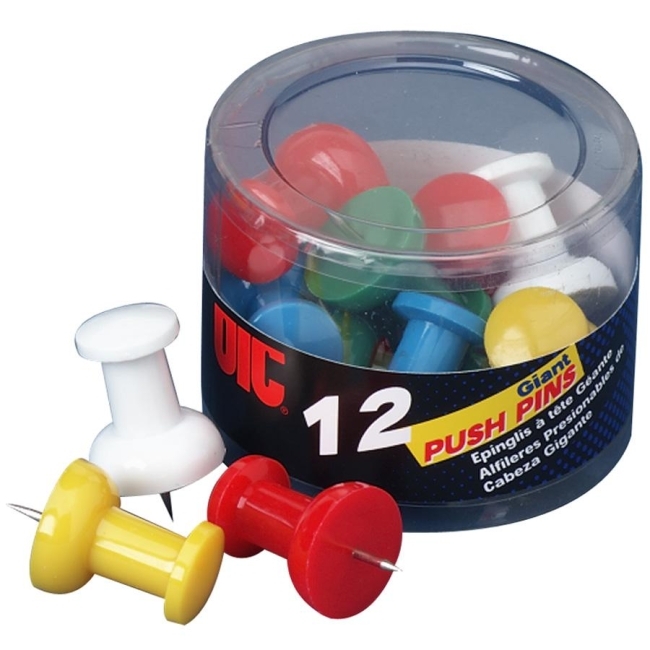 Giant push pins are an easy way to add visual impact. Each measures 1-1/2" with 3/8" pin. Each tub includes 12 giant push pins in assorted colors.